It represents a huge change of pace in the market and is designed with mobile-friendliness, fast transactions, and easy micropayments in mind. According to its website, Electroneum has the benefits of Bitcoin and other assets, but claims to be a vast leap forward over its cryptocurrency competitors. Also, Electroneum is built for widespread common usage and offers “groundbreaking ease-of-use for the ordinary mobile user,” which means that it could be a powerful investment opportunity that will almost certainly increase in value. That all sounds good. However, there are many other cryptos that make similar claims. In this guide we’ll go over how Electroneum plans to live up to those promises. How Does Electroneum (ETN) Work? Where to Buy and Store Electroneum (ETN)? Electroneum was built on top of the Monero blockchain to allow for transactions on a decentralized blockchain. Like Monero, Electroneum has some built-in privacy features, and with these features it is impossible to trace the exact origin of a transaction or the exact balance of a wallet. One of the main problems associated with Bitcoin is the fact that the balance of every wallet address is public and easily searchable. Electroneum solved this problem with its stealth address, a single-use public key that allows senders and receivers to send and receive money without there being any public record of who either individual is now how much is being transacted. This method allows the blockchain to record the transaction, while preventing people from being able to see the sender, recipient, and the amount transacted, keeping things as private as possible. This means that users will have their wallet content and transaction history protected from prying eyes. Electroneum facilitates anonymous and faster transactions, which can be done even in seconds, with fees being higher or lower depending on network traffic. Click here to check out the recent blocks. If you look closely, you will see that the vast majority of the blocks have less than 0.2 ETN in total fees. Furthermore, new blocks are added almost every minute. Amateur mining of Bitcoin requires more resources than the average person’s computer can offer and it has become almost impossible. With the use of ASICs (expensive, specialized circuit chips that mine currencies) Bitcoin mining has become an overly competitive space. Sometimes using old CPUs, or even the first generation of ASICs, costs more in electricity consumption than the Bitcoin mined is worth. To make things easier for ordinary people, Electroneum promotes CPU mining, which means that people with ASICs won’t have an unfair advantage over average users who just want to use their computer’s CPU to mine. The ability to give average users easy access to ETN will be a recurring theme throughout this article. Electroneum’s greatest differentiator is using a mobile app to bring in new users (today approximately 2 billion people own a Smartphone). The mobile app is already available on Android and their iOS app is coming in 2018. The mobile app provides access to a digital wallet and allows you to receive or send Electroneum on the go. There is also an option to create offline paper wallets for those who need extra security. Make sure to spread your coins out across several paper wallets (and keep them in different areas) in case you lose one. The app has rewards for people who try to grow the community and share their knowledge of Electroneum with the world as well. Anyone that refers at least 5 friends to the app is entered into a contest to win 5000 ETN (the more users you refer to Electroneum, the greater your chances are of winning the prize). The friends that you invited are also eligible to win. Typically, cryptocurrencies are mined with specialist equipment. However, Electroneum will allow users to mine the currency with the mobile app, which should lead to increased adoption and use of ETN. The app will allow your phone’s CPU to engage in simulated mining, which won’t overheat your phone or drain your battery. Your mobile mining won’t actually help confirm new blocks on the blockchain – it’s more clever marketing by Electroneum to promote interaction with Electroneum and get people involved. Even though you’re not really mining, you’ll still receive rewards. One more thing worth noting is that the mining will also use a negligible amount of your internet data. The mobile mining experience has been designed to yield rapid user growth and eventually, they hope to convert some of the mobile miners to full miners on a computer. The Electroneum ICO took place in September 2017 and raised 40 million USD from more than one million contributors. Electroneum went public on November 1st and they had a good start. However, things quickly turned sour because they were hit by a distributed denial of service (DDoS) attack, causing the team to have to shut things down for over 26 hours straight while they tried to clean and patch things up. Eventually, after some delay, ICO investors were distributed their coins and on its first day over 690 million ETN was traded for a total of less than 500 ETN in fees. The development team behind this project comes with plenty of experience. The team of 12, based in Kent, is led by Richard Ells, who has a history of starting successful online business, that now have hundreds of thousands of combined users. Ells has over 20 years experience in online-based business. He is also the co-founder of Retortal.com, which is used by fortune 500 companies such as Herbalife and Avon and is valued at over $50 million. James Atkinson, who has over 10 years of experience in development, is the head of the Electroneum Development Team. Dean Cole, another experienced app and web developer, maintains and develops the servers required for mining and transacting in Electroneum. Advisory of the platform includes Mark Robinson, who has been directing private business and companies and Andy Denton, who has been an online gaming consultant for over 20 years. This wide-ranging team likely means there’s a diverse array of minds behind what’s going on. This allows the service to benefit from different perspectives. Successful partnerships are extremely important in new software ventures, particularly in crypto. That’s the reason why Electroneum team actively seeks out partnerships to help currency to gain traction and much-needed public promotion. The company has recently signed an agreement with XIUS, a telecommunications and payment giant that has 65 million subscribers. They will work towards integration of Electroneum as a payment method across Latin America. People at Electroneum want to use this partnership to promote the use of their mobile mining app as a way to offset phone costs. They’ve also partnered with BMedia, a Japanese based social media video marketing company that builds online communities for companies and personal brands. Bmedia was founded in 2013 and has 500,000+ followers on Facebook and monthly reach of 10 million users, which Electroneum wants to use as a way to start promotion of the currency. Electroneum has also partnered with FanFare, an awesome video sharing app where fans can connect with brands through fun videos, cool games and rewards. This project has been involved in 60 brands since August 2017 and they give out prizes and rewards to users that upload their own videos about the products they love. They have quite broad audience, which gives Electroneum good opportunity to grow. Cryptocurrency and online gaming are a natural pair, and Electroneum hopes to replace in-game currencies, such as World of Warcraft gold, with ETN. The hope is that players would receive ETN as rewards for all of the completed quests and sold items, instead of just in-game “gold coins”. And if they could then convert that currency to other cryptos or fiat, it would encourage players to play more because they’re getting real-life rewards for in-game accomplishments. Also, the gaming company could charge fees on depositing and withdrawing ETN from their ecosystem. There are some games where you have to use real life money for in-game purchases (like character outfits, weapons, etc. ), and Electroneum could possibly replace that, too. Another marketing tool that could be effective is creating a game that advertises ETN as an in-game currency. There is one interesting mobile game that is currently in beta testing. It involves trying to fly a rocketship to the moon while collecting ETN, and when you die, you have to watch a video advertisement to help fund the ETN rewarded to the users. It should come as no surprise to find out various gambling websites are accepting Bitcoin payments already, but the problem is that it’s very difficult for most people to obtain it. The majority of online gambling takes place outside of the US, and the problem is that it’s hard to get Bitcoin outside the US. Most countries do not have access to Coinbase or Gemini, which are the two most popular digital currency exchanges in the US, and their local crypto exchanges often have 7% fees or higher. Electroneum wants to get in to reduce friction and encourage gambling sites to accept the currency. As we said earlier, due to the ASIC (dedicated “mining machines”) resistant nature of the Electroneum mining algorithm, it’s still feasible to mine coins with just your CPU, which means that those who have just their computer CPUs at their disposal won’t get shut out by owners of expensive ASIC setups. The team has also made it easy to start – just click here to download the program and you can begin mining immediately. They are currently paying approx 7000 ETN per block. The group held 4.4 billion ETN for financial specialists in the ICO and those who shared the ICO and interpreted pertinent data got a consolidated 20 million ETN. Team members additionally held 20 million ETN for marketing, translating, and further technical development of the app/blockchain. There’s a circulating supply of 5,967,959,479 ETN that will eventually reach a maximum supply of 21,000,000,000 ETN, moving the decimal point two places to the right when compared to Bitcoin, which is capped at 21 million. With 1,000 times as many coins to be mined, it’s easy to see a very stable future for ETN and perhaps a much smoother growth pattern than Bitcoin. The team felt that miners would feel more satisfied at getting whole coins instead of pieces and would prefer making purchases in integer values (this means that you’ll see a price labeled as something like “32.24 Electroneum” instead of “0.078654 BTC”). After all of the coins are mined, miners should still be able to make profits with transaction fees. You could get Electroneum for $0.01, which means that if you invested $1 you would have 100 ETN coins. Since then, the price has gone up and down to settle around $0.04, which is quite low, but not unheard of, for a new crypto. Typically coins will start low and climb up as they’re adopted, and it’s possible that this coin can go up in value within a month or two. However, it’s too early to fully comment on the price since Electroneum is still so new and the mobile mining still in beta testing. But the value could go up with the release of the iOS version of the mobile app, which would make it more accessible to more people, and the more people buy in, the higher the value goes. You can currently purchase ETN on the Cryptopia, a New Zealand-based exchange currently ranked among the top 50 or 60 most popular exchanges in the world. USD and NZD are the only fiat currencies that can be exchanged through Cryptopia, but if you would like to exchange another cryptocurrency that you already have, they have a list of over 100 cryptos and altcoins. Electroneum is currently applying for ETN to be sold through HitBTC and Liqui, and they are actively considering other exchanges as well (Bittrex, Poloniex, Binance and other big exchanges). It seems as though the team is very cautious about security and they are assessing the exchanges and their reputations. This is always a good sign. Most cryptocurrencies have their own wallets that are designed specifically for them, and the same goes for Electroneum. The Electroneum Wallet Manager can be found here, and you can use it to set up online or offline wallets. It’s important to note that the online wallet registered is accessible through the app using your same login details. There aren’t any hardware wallets for Electroneum. Hopefully later on, if the currency goes up in value, Electroneum will be available for hardware wallets. Electroneum has big plans for the future, but there is still a lot of work to be done in order for it to become a major cryptocurrency. 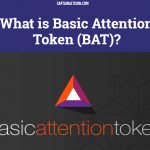 It has plans to completely dominate the market by combining ease-of-use, accessibility, and building it into a currency that can be used not only for gambling but also online gaming, which has become a major leisure time activity and has gained millions of users around the globe. This could possibly bring Electroneum an audience of millions. One more thing worth noting is that major players are also taking ETN seriously. If Electroneum can handle everything as expected, it could end up being one of the premier cryptocurrencies in the world. 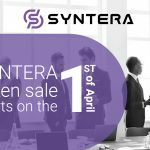 The private sale of Syntera was accomplished on the first hour: how they could do that?